Great value!! 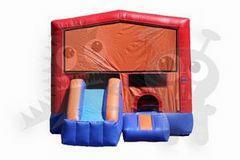 13x13 jumping area, a basketball hoop, and a slide down the front! Add your favorite character to this one too!